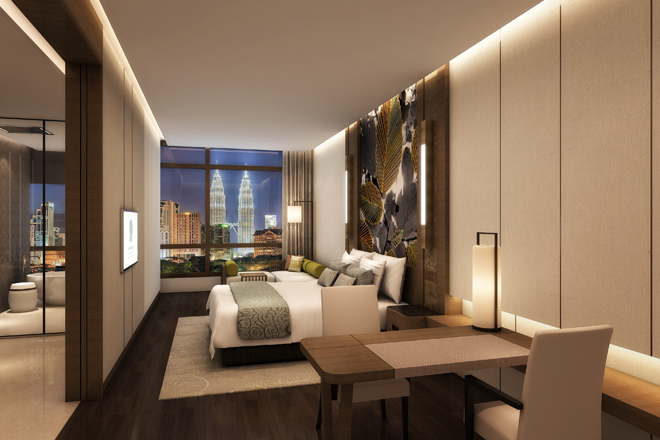 The world-renowned Banyan Tree Hotels & Resorts will soon open open its first property in Kuala Lumpur, Malaysia. The Banyan Tree Kuala Lumpur will open its doors on 15 June 2018. Poised to be an exclusive sanctuary for the well travelled and discerning, the urban resort will be situated in the heart of Kuala Lumpur’s Golden Triangle, the commercial, shopping and entertainment hub of Malaysia’s capital city. Banyan Tree Kuala Lumpur is expected to offer guests, yes, even those already accustomed to ultra-luxurious East-Asian vistas and accommodations, a lush repose amidst the hustle and bustle of the big city. With roots in Singapore, the 24 year old luxury hospitality company has become an international brand that manages and develops resorts, hotels and spas in Asia, America, Africa and Middle East. Best known for Banyan Tree, an all villa concept which pioneered pool villas and tropical garden spa, the company launched its first Banyan Tree resort in Phuket over 20 years ago when when founder Ho Kwon Ping and his wife Claire Chiang came across a plot of land while they were on holiday in Bang Tao Bay, on the western coast of Phuket in the Andaman Sea, and thought it would make an ideal location for a resort. With this level of expertise and know-how Banyan Tree Kuala Lumpur is expected to redefine the urban resort experience with unique Banyan Tree signature touches including the Resort Host service to offer guests a true urban sanctuary. Occupying the top seven floors of Banyan Tree Signatures Pavilion Kuala Lumpur building, Banyan Tree Kuala Lumpur will feature 55 exquisite rooms and suites, ranging from 51 square metres to 200 square metres in size, with contemporary flair and breath-taking views of the iconic Petronas Twin Towers and Kuala Lumpur Tower from most rooms. If a truly sensuous, restful experience is what you’re looking for amidst the daily urban hustle and grind, then be prepared to experience the gamut of Banyan Tree Kuala Lumpur’s in-room facilities including Banyan Tree’s signature aromatherapy essential oils and chromotherapy shower in all room categories. 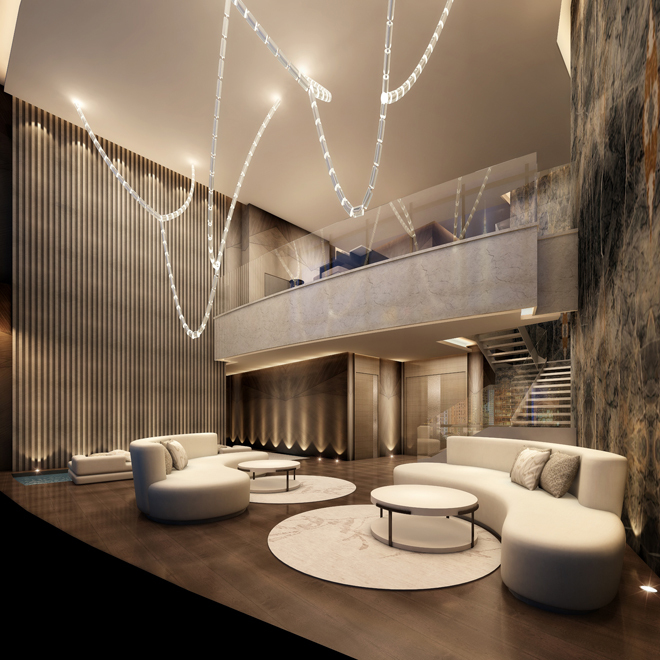 Its suites will also feature a private relaxation pool, a spoiling treat for the senses. A host of F&B options await guests with four exciting dining venues, each designed to stimulate great sensory and culinary experiences for the guests. From a French-inspired bakery at the Lobby – Bake by Banyan Tree; sky high afternoon tea and wine lounge on 53rd Floor – Altitude, to an exquisite seafood and grill restaurant on 58th Floor – Horizon Grill and the tallest hotel rooftop bar in the city centre on 59th Floor – Vertigo, the finest Kuala Lumpur has to offer. Designed to be an urban oasis, Banyan Tree Kuala Lumpur not only offers a luxuriously comfortable stay but also a comprehensive suite of facilities including three spacious and fully equipped boardrooms for those seeking to host intimate executive meetings or private engagements, an open-air pool with a stunning view of the towers and a state-of-the-art gym. As one of the pioneers of award-winning oriental spas in Asia, Banyan Tree’s newest oasis in Kuala Lumpur reintroduces an exotic blend of ancient health and beauty practices which have been passed down from generations. As such, the massage treatments are based on a ‘high-touch, low-tech’ approach that celebrates the human touch and the use of natural herbs and spices. Some of the signature spa treatments include Master Therapist Experience, which is a specially tailored treatment using a repertoire of massage techniques and tools, drawn from the expertise of the Master Therapist, and Malaysian Bliss, with guests discovering an oasis amidst the city of Kuala Lumpur as they indulge in a refreshing scrub and a relaxing Nusantara massage. The spa in Banyan Tree Kuala Lumpur also boasts four couples’ spa suites, where guests will be mollycoddled by the intuitive touch of professional spa therapists, while taking in stunning views of the Kuala Lumpur skyline. Banyan Tree Kuala Lumpur is open for booking from now until September 30 2018. As part of opening celebrations, a promotional package of MYR878 nett will be offered. The package includes daily breakfast for two, RM150 worth of Banyan Tree Spa credit per stay redeemable towards a massage or treatment package, two complimentary Sunset Mocktails at Vertigo and a 15% discount each for afternoon tea at Altitude and Banyan Tree Spa essential products.